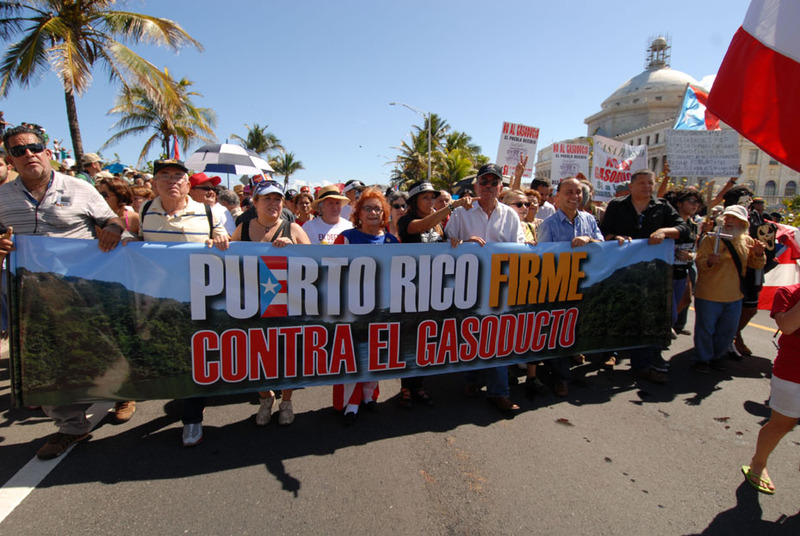 Patakanakaw “Marcha Nacional” ukar mayachasipxäna: Puerto Rico-x Gasoducto jan munasaw sayt’i kunati San Juan markan Puerto Rico-n anat phaxs tunka llä tunkan uru saraqataruw willka urux apasïna: Poder Legislativo-t gobernador Luis Fortuño-n yanapirinakapan amtatänwa kawkiriti jach’a qullnam costa sur de la isla-t San Juan-kam gas natural apañ amtaski. Ch’axwäwix Adjuntas, Casa pueblo-nkirinakan wakt’ayatänwa. 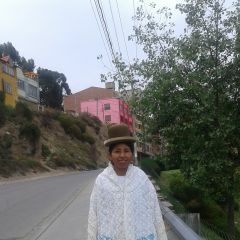 Casa Pueblo-x “Via Verde” suyt’ayañ yant’arakïna. Aka uraq waqaychirinakax amtäwitix nayrar apasinixa, isla-n ecosistema-ruw jan walt’ayaspa sasaw sawäpxaraki. Gasoducto jan lurasiñap munirinakax “Gasoducto de la Muerte” sasarakiw sutichawäpxi. 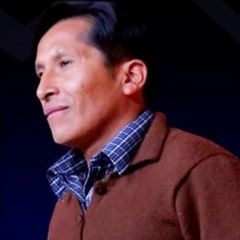 Ricardo Alcaraz yatt’ayirix mä qhawqha jamuq apsutanakap uñicht’ayi. 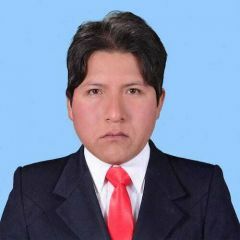 Taqi ukanakax jupan iyawsatapxaruw qhanar apsuwayataraki. 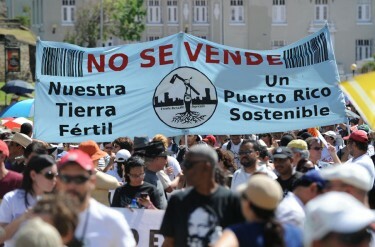 People from all sectors of civil society joined the demonstration. 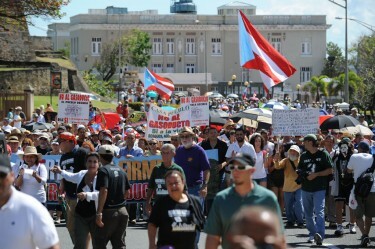 The protesters marched from the Capitol to the Fortaleza. In the background you can see the west side of Olympic House, the headquarters of the national Olympic committee. 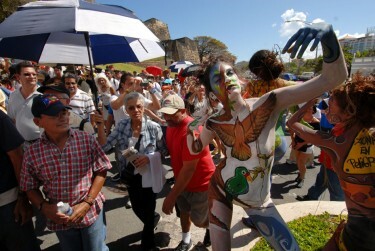 Various sectors have complained that the project would cause serious damage to the flora and fauna of the island. Several endangered species live on the proposed pipeline route. 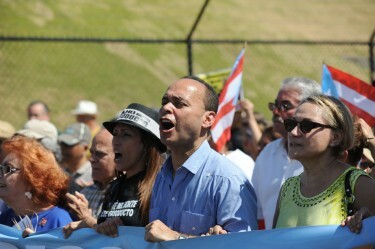 Congressman Luis Gutiérrez also joined the demonstration. 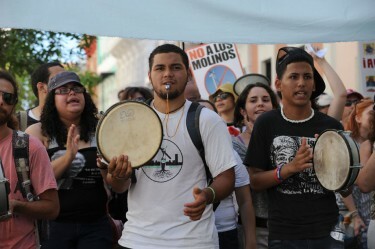 There were a number of performances along the march. 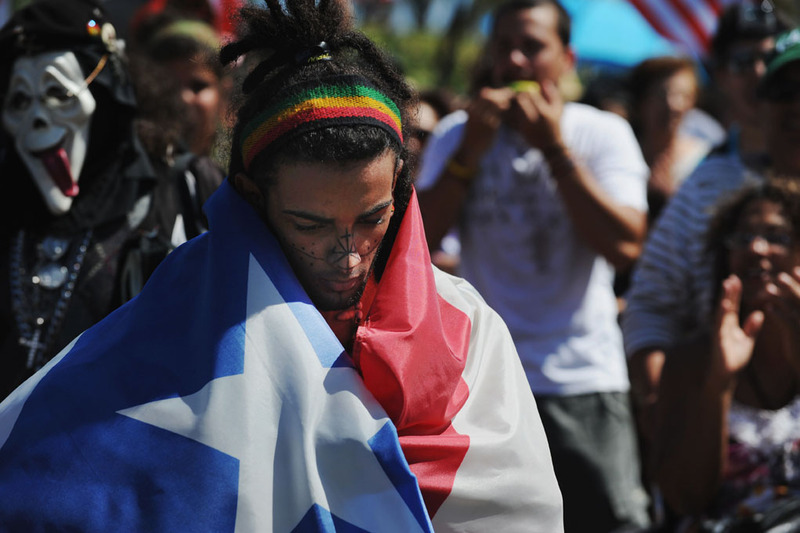 No Puerto Rican protest goes ahead without la plena, the favourite rythmic drumbeat on demonstrations.